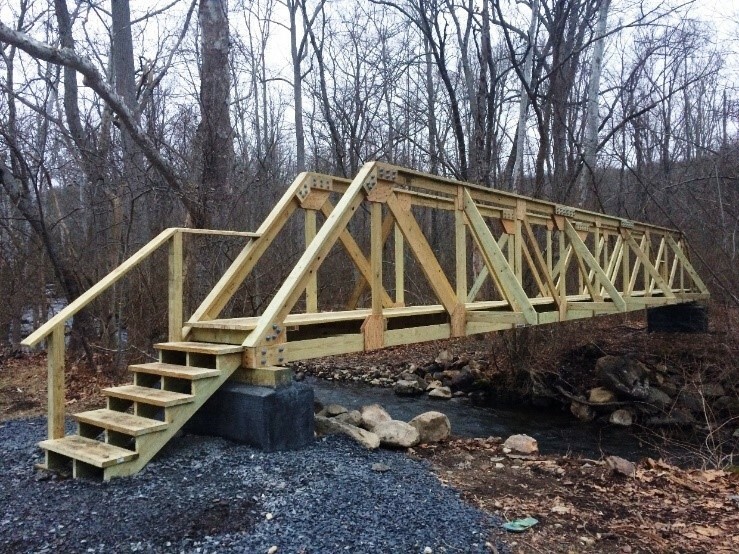 (18/P026) TRENTON – The Department of Environmental Protection’s Division of Parks and Forestry this Saturday, April 14, will dedicate a new footbridge linking key trails at Long Pond Ironworks State Park in Passaic County. The opening of new museum exhibits enhancing the public’s appreciation of the park’s history also will be marked. Long Pond Ironworks, developed to make use of iron deposits found throughout the Highlands region, dates to the time of the American Revolution and played a critical role in subsequent wars. The bridge, built over a narrow portion of the Wanaque River, replaces one that washed away in floodwaters more than six years ago. The bridge dedication is planned for 11:30 a.m. followed by a ceremony marking the installation of the new exhibits at 12:30 p.m. Some 24 miles of trails traverse the park, located along the New York State border east of Greenwood Lake, previously known as Long Pond. The trails wind through hilly forests past stone ruins of ironmaking operations. These trails provide multiple scenic views of mountains as well as Greenwood Lake, Monksville Reservoir and other lakes in the area. The bridge is a key link for hiking trails maintained by the New York-New Jersey Trail Conference, including the Highlands Trail, Hewitt-Butler Trail, the Sterling Ridge Trail, and the Hasenclever Iron Trail. All trails except the Sterling Trail could be accessed only at their northern ends after floodwaters caused by torrential rainfall from the remnants of Hurricane Irene in 2011 washed the previous bridge away. Members of the New York-New Jersey Trail Conference built the 60-foot-long wooden bridge to be much more resilient to floodwaters. It is now about four feet higher than the previous bridge and is secured to sunken concrete. The New York-New Jersey Trail Conference, as well as Friends of Long Pond Ironworks, spent five years raising the approximately $60,000 to design and build the bridge. 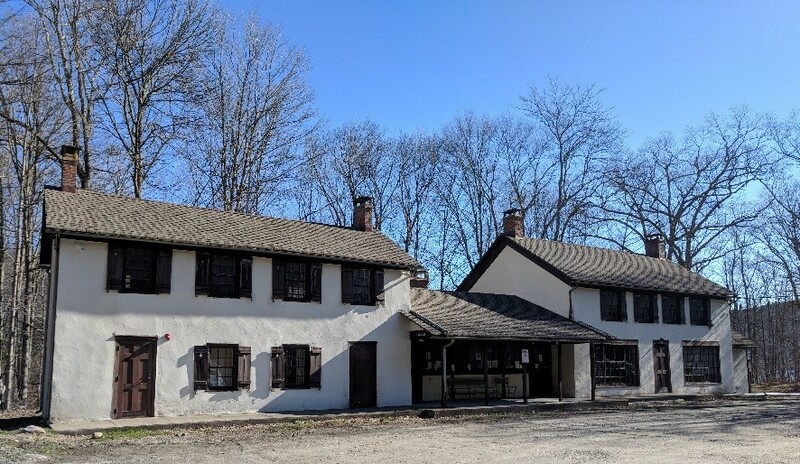 Ringwood State Park in Passaic County, which administers Long Pond Ironworks State Park, contributed approximately $2,000 to the project through in-kind services, such as materials and labor. Private donations also paid for the $20,000 museum exhibit project, carried out by Cornerstone Spatial Design in Ramsey, Bergen County. Friends of Long Pond Ironworks in 1996 opened the museum in the Visitors Center, expecting it to be temporary until the group could gain more experience and raise funds for a more permanent display to educate visitors. The museum is now housed on the first floor of the adjacent 19th century ironworkers house. Members of Friends of Long Pond Ironworks gathered photos, objects and wrote the text for the exhibits. Additional work on plaster and painting within the new exhibit room is planned. 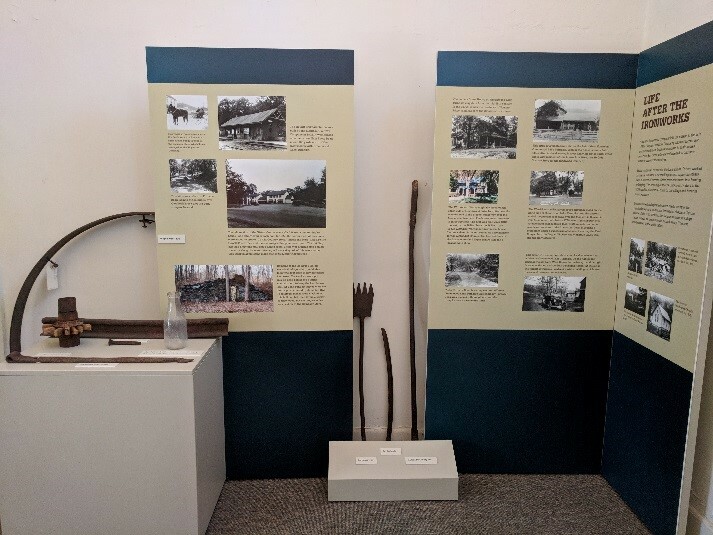 “The newly designed interpretive panels allow visitors to Long Pond Ironworks to gain a greater understanding of the iron mining industry in New Jersey and the role the site played in the development of our nation,” added Ringwood State Park historian Sue Shutte. The 175-acre Long Pond Ironworks was founded in 1766 and operated continually until 1882, producing iron for a wide range of purposes. The village and furnaces at Long Pond manufactured iron for the Continental Army during the Revolutionary War, for American forces in the War of 1812, and for the Union Army during the Civil War. The Friends of Long Pond Ironworks plans other activities this Saturday, including the first tours of the season of the Long Pond Ironworks State Park Historic District, encompassing the ruins. Guided tours will take place at noon and 2 p.m. The two-hour tours follow a circular route through the historic village. Visitors are advised to dress appropriately for a walk through the woods. Tours are rain or shine.